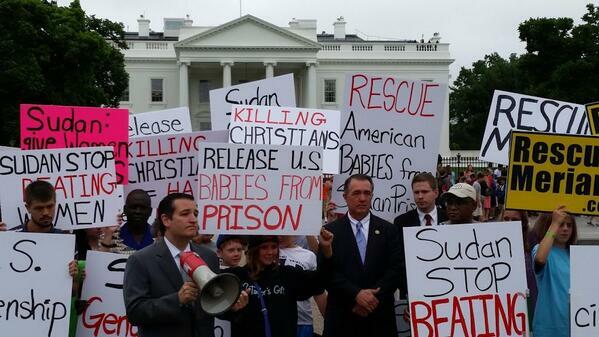 Ted Cruz and Pro-Life Groups Lead White House Rally to Save Meriam Ibrahim | What Did You Say? 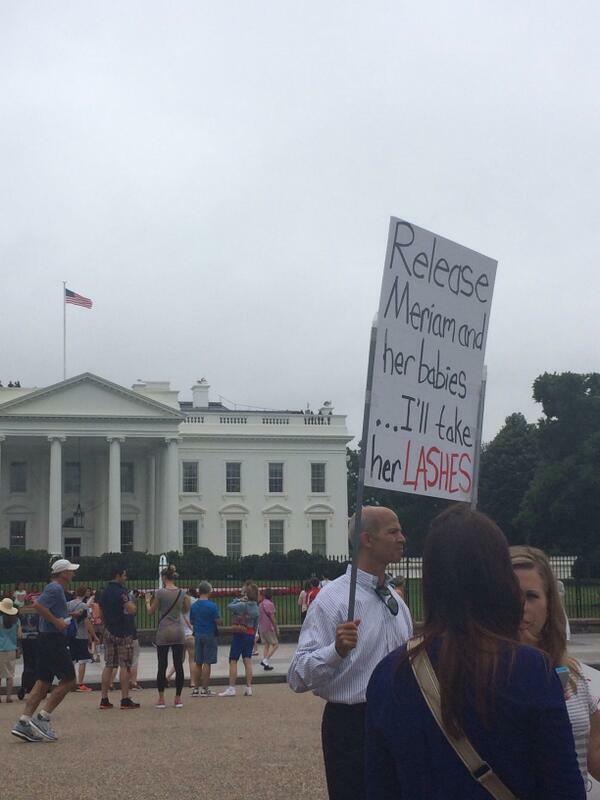 With some news reports indicating Meriam Inbrahim may be days or weeks away from a brutal pre-execution flogging because of her refusal to backtrack on her Christian faith, pro-life Sen. Ted Cruz and leading pro-life groups staged a rally outside the White House today on her behalf. Meriam Ibrahim is not sentenced to die for her Christian faith for two years, until such a time as her newborn baby girl Maya is weaned, but she could be flogged within days if her appeal of her death sentence is thrown out. LifeNews recently covered the terrible nature of the flogging she will have to endure and how it will literally take her skin off of her body. 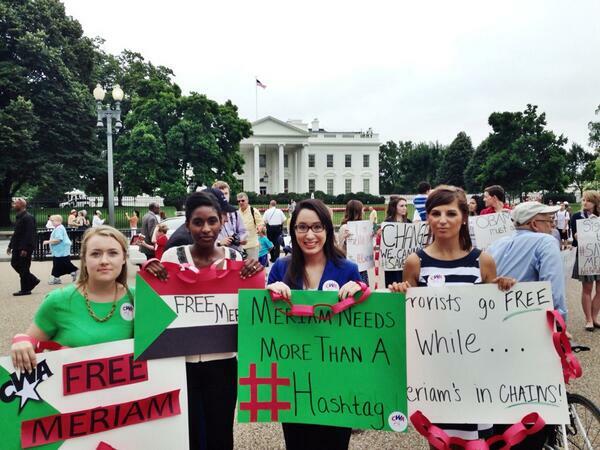 Meriam’s case has drawn international outrage. Meriam was jailed in September despite the fact she was pregnant, because she married a Christian – when authorities claim she is Muslim. Sudanese leaders suggested she may be freed weeks ago as international outrage grew – but there is still no sign of her release. She was forced to give birth to daughter, Maya, in prison, shackled to bed. Now, human rights advocates have released a video of another woman flogged in public to highlight her case. In the video, dated 2010, the woman begs for mercy as police laugh and joke. 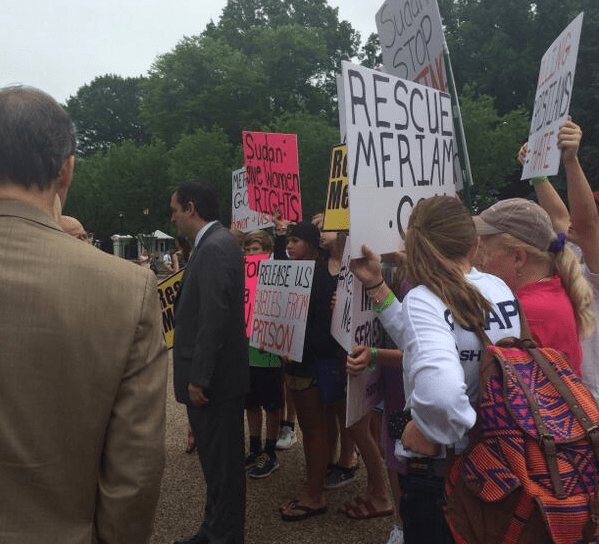 Responding to concerns about a potential flogging and knowing the Obama administration has done very little to support her plight, the Family Research Council and Concerned Women for America led a Save Meriam rally today. 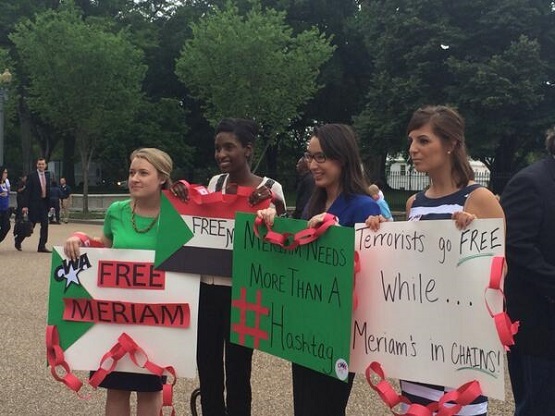 “Today we are here to talk about Meriam Ibrahim, who is being imprisoned for her faith, specifically because she is a Christian. And not just her, but also her two children, one of which she gave birth to in chains. 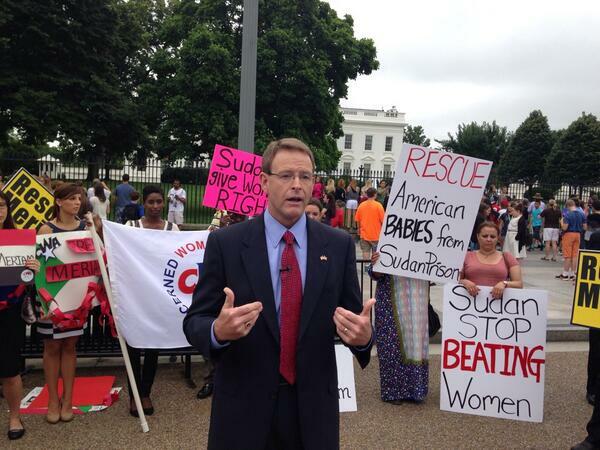 As Christian women, we are talking today about Sudan but also pointing to the plight of women around the world. Women of faith are being persecuted and little girls are forced into marriages at very young ages. 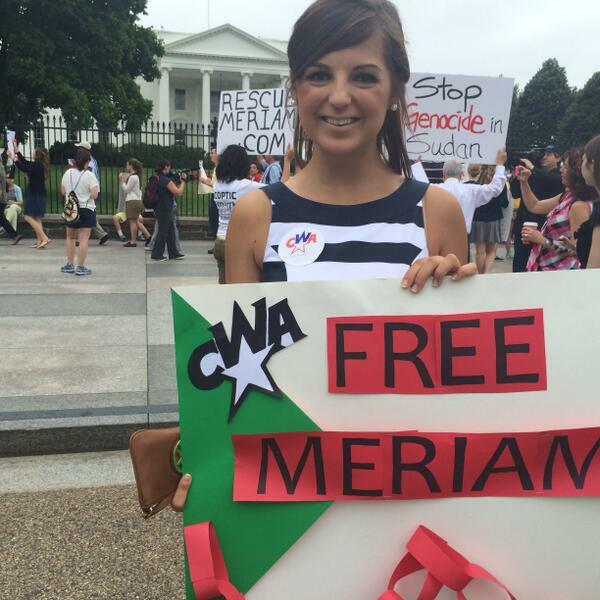 Meriam shines a light on this corruption and persecution,”Penny Nance, president of CWFA, said. 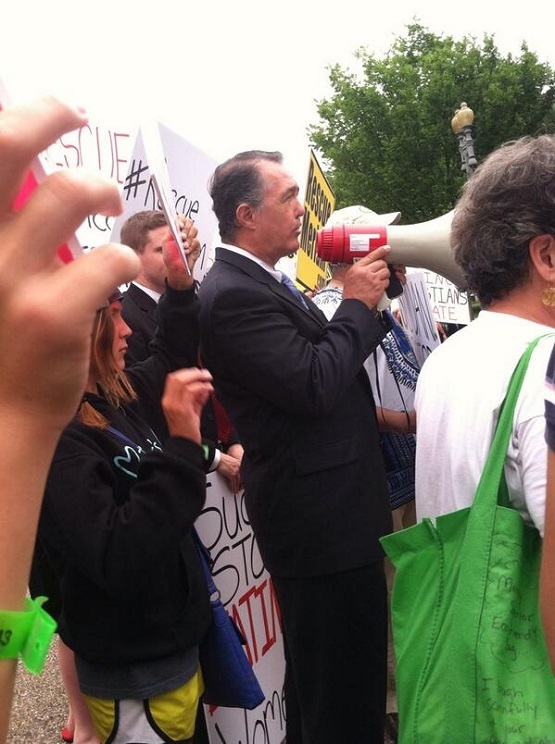 Below are some of the pictures from the rally, including a photo of Senator Cruz and one of Congressman Trent Franks of Arizona. All pictures come to LifeNews from CWA and FRC. Will You Pray for Meriam Ibrahim?